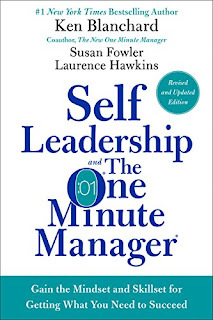 About the Book The co-author of the phenomenal New York Times bestselling classic The One Minute Manager® explores the skills needed to become an effective self leader in this essential work, now updated throughout. Just as Ken Blanchard’s phenomenal bestselling classic The One Minute Manager gives leaders the three secrets to managing others, so this follow-up book gives people the three secrets to managing themselves. In Self Leadership and the One Minute Manager, readers will learn that accepting personal responsibility for their own success leads to power, freedom, and autonomy. Through a captivating business parable, Ken Blanchard and coauthors Susan Fowler and Laurence Hawkins show readers how to apply the world-renowned Situational Leadership® II method to their own development. The story centers on Steve, a young advertising executive who is about to lose his job. Through a series of talks with a One Minute Manager protégé named Cayla, Steve learns the three secrets of self leadership. His newfound skills not only empower Steve to keep his job, but also show him how to ditch his victim mentality to continue growing, learning, and achieving. For decades, millions of managers in Fortune 500 companies and small businesses around the world have followed Ken Blanchard’s management methods to increase productivity, job satisfaction, and personal prosperity. Now, this newly revised edition of Self Leadership and the One Minute Manager empowers people at every level of the organization to achieve success. I love reading about leadership and this book will definitely make you think about the way in which you exert your leadership. The book also allows you to see what you have innately within yourself. This is a great book that was practical in nature and it really allows you to change your own leadership journey into something that will help you become a better person!